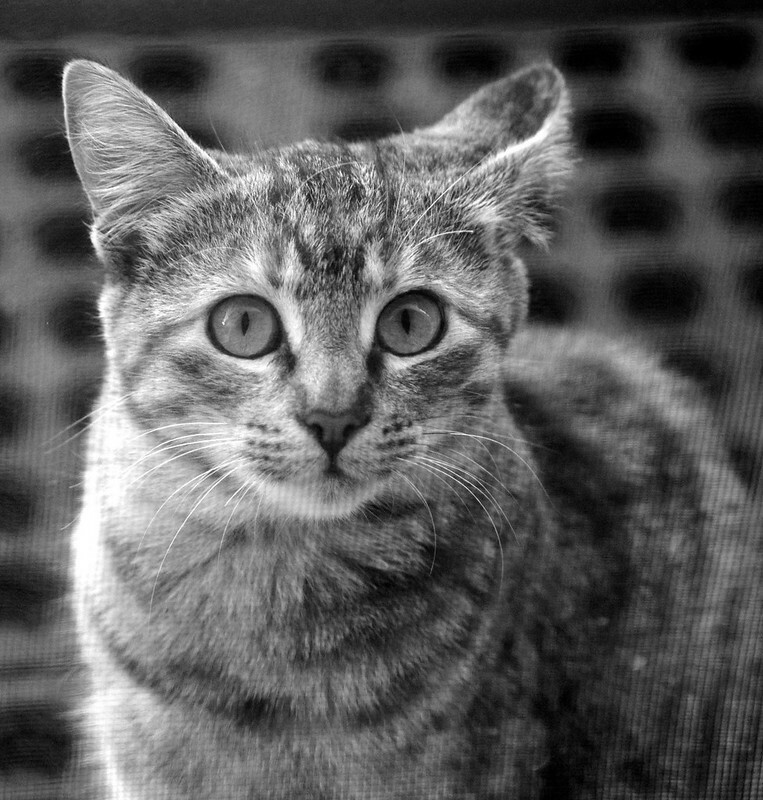 Are you ready for another kitty in b/w? Cats are always worth seeing, and this one is adorable! such a sweet expression! Looks like you took it through a screen...love how it added texture! Pretty kitty. Good contrast. I like your picture very much.